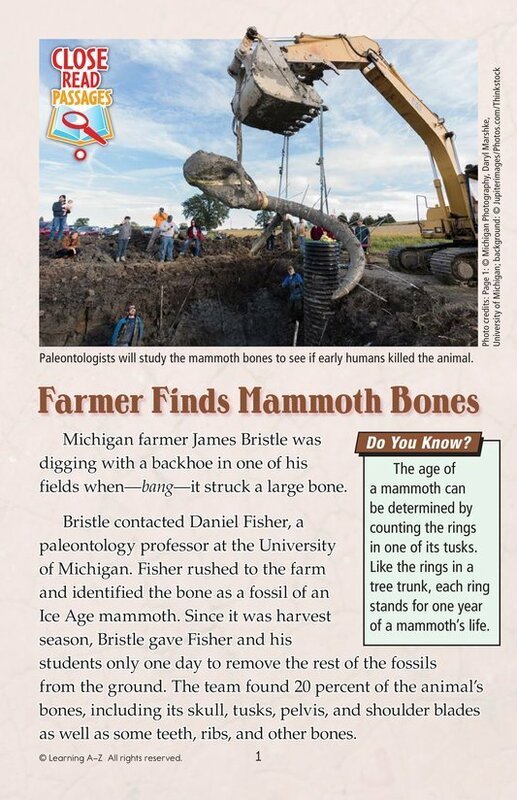 A Michigan farmer made a startling and significant discovery—a giant fossil from an Ice Age mammoth! Scientists eventually uncovered approximately a fifth of the animal's bones. 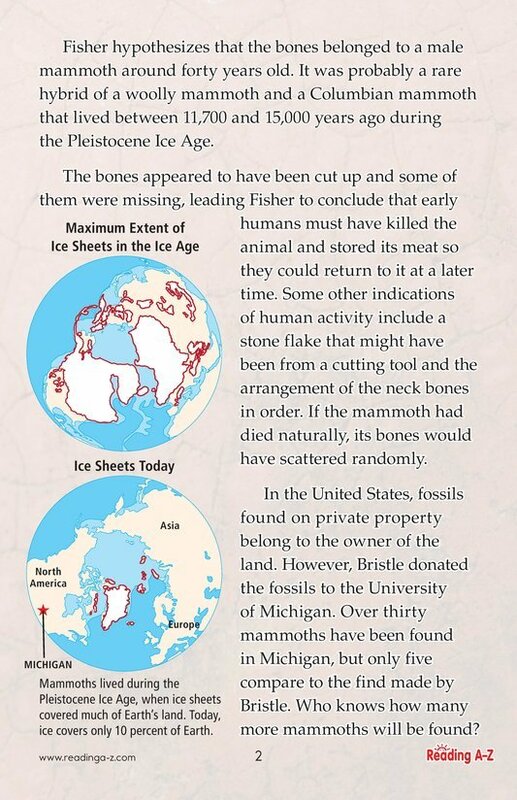 Students can read about this exciting find and learn about the early humans who encountered the animal thousands of years ago.